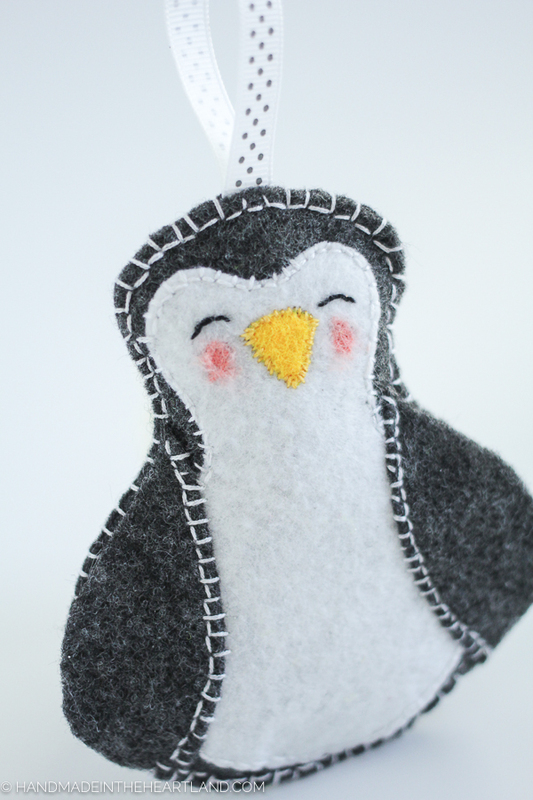 This DIY felt penguin ornament is a fun and easy craft to make for your Christmas tree or to give as a gift this holiday season. 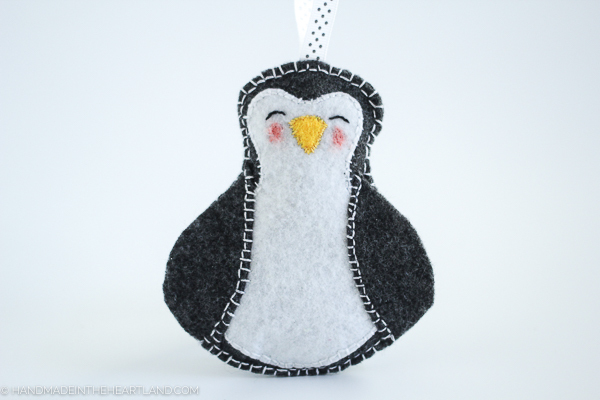 I’ll show you step by step how to make this handmade ornament in this post. Penguins are my favorite animal. They have been for as long as I can remember, it’s something my dad and I share. When I was growing up we would take little trips together and specifically pick places where we could see penguins. We went to the aquarium in Chicago one year for spring break and the St.Louis zoo is home to one of our favorite penguin exhibits. I love that the Kansas City zoo now has an awesome penguin exhibit! 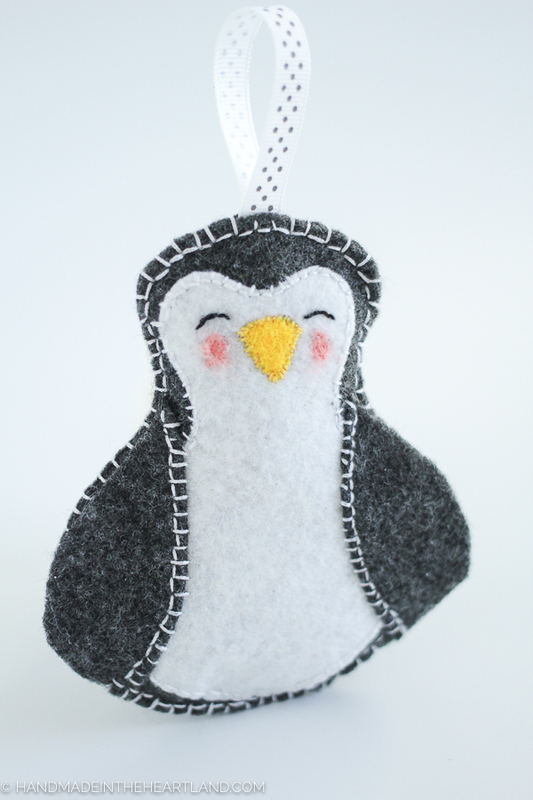 So when I think about crafting for Christmas my mind goes first to penguins. So making ornaments is FUN. I can’t believe I’ve never really done it before. They are so small that it goes pretty quickly even when you hand sew it together. The first thing you’ll need to do is download the free pattern HERE. I like to print my pattern on card stock so it’s nice and heavy when I go to cut. Plain paper also works fine. 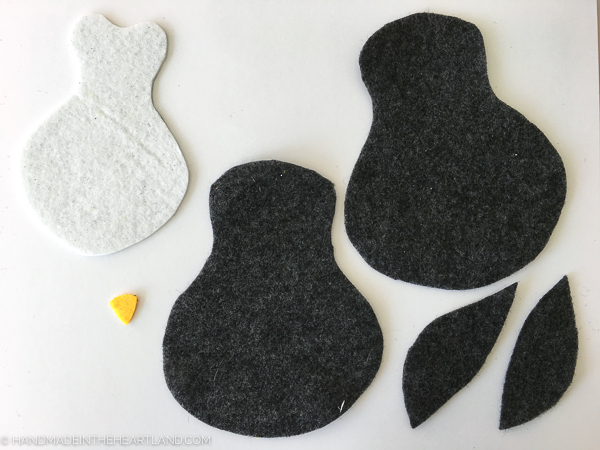 Step 1: Cut out the pattern and then cut out your felt pieces. I used a sharpie and drew around the pattern pieces on the felt and then cut them out. 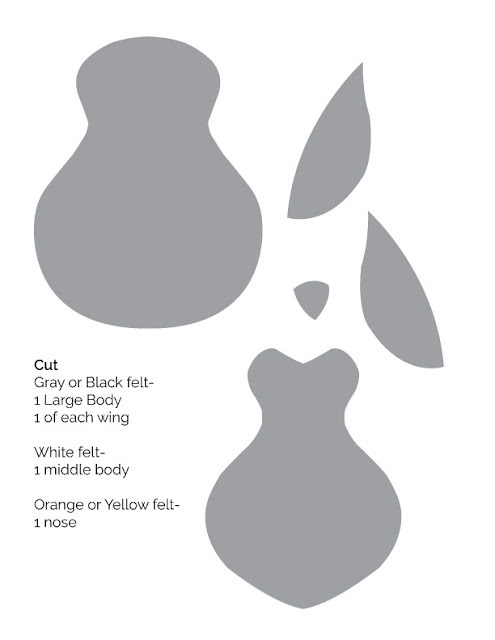 You’ll cut two large body pieces (one for the front & one for the back) and one of every other pattern piece. Step 2: Put the pieces together. 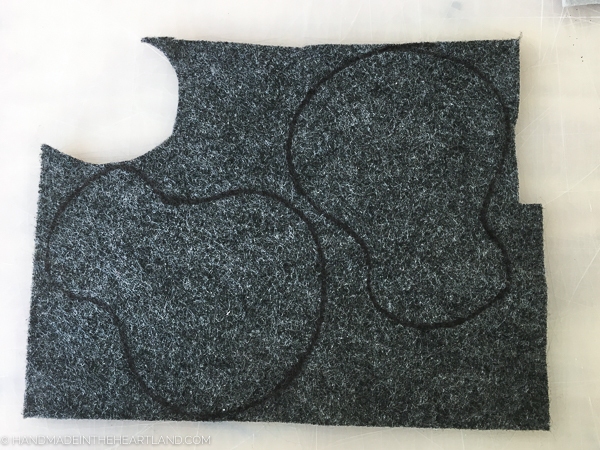 I first sewed the white piece to a big gray piece. Then I added the eyes and nose. To make the eyes I used black embroidery floss and made curved lines to make little squinting eyes. I then sewed the wings on only sewing the side of the wings that touches the white tummy party of the penguin. I let the outside of the wings open. To finish the face I used pink craft painted and lightly painted the cheeks on. 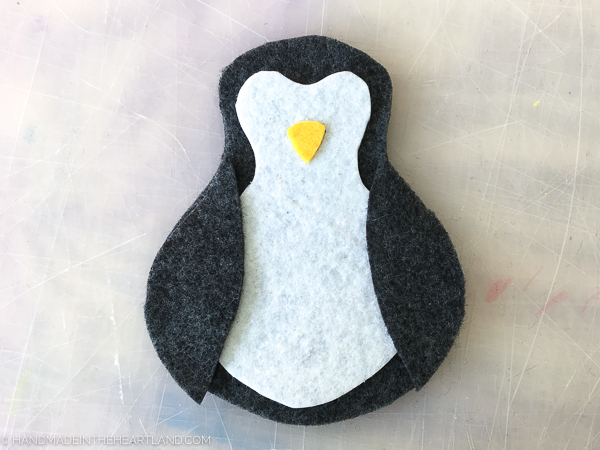 There is a variety of ways you could put this little penguin together. I used embroidery stitches to sew everything together but you could easily use glue for the wings, white tummy and nose. Step 3: You’ll want to sew the ribbon to the top, folded in half to make a loop, as you sew the front and back together. Leave an opening at the bottom of the penguin body to stuff it with the poly-fil. Once you put the stuffing in finish sewing it up! and if you’re like me you’ll sit and stare at it for a while because it’s so darn cute!! If you’re unfamiliar with embroidery stitches this is a great article. Honestly I just wing it, I just started embroidery earlier this year and it’s kind of addicting but most of the time I just make up the stitches as I go. What other animals or Christmas people would you like to see? I’m on a roll and I don’t want to stop! I’d love to get your ideas! If you make this cute little guy please let me know! I love to see when you make things from the blog, it seriously makes my heart happy! 🙂 Share it with me in the comments or tag me on Instagram (@handmadeintheheartland) or facebook!